2-Fatty acid in heterocyclic synthesis. PartXVI: Regioselective reactions of 5-heptadecyl-1,3,4-oxadiazole-2-thiol toward different reagents Accepted in the 12th IBN SINA international conference on pure and applied heterocyclic chemistry. February (16-19), 2013, Luxor, Egypt. 3- Utilization of Fatty acid in heterocyclic synthesis. Part XII: Synthesis of Surfactants from Pyrazole, Isoxazole, Pyrimidine and Triazine Incorporating the 1,3,4-Thiadiazole Moiety Having Dying and Antimicrobial Activities. Published in Journal of surfactants and Detergents, (2012) 15 (2) 149-160. 4-Fatty acid in heterocyclic synthesis. Ecofriendly non-ionic surfactants containing phthalazine moiety having antimicrobial activity Announced in 1st conference on science Diplomacy and developments in Chemistry, Nov.24-26, 2012, Alex. Egypt. 5- Utilization of Fatty acid in heterocyclic synthesis. Part XIII:2-Chloro-5-heptadecyl [1,3,4]thiadiazole as a building block for synthesis of S-triazolo[2,4-b]thiadiazole, benzimidiazo[2,1-b]thiadiazole, thiadiazolo[2,3-b]quinazolin-5-one as well as thiadiazole-2-yl(piperidine, pyridiazine and/or phthalazine) Published in OLAJ, SZAPPAN, KOZMETIKA (2011) 60 (3), 51-57. 6- Novel Fluorescent aminoxy acids and aminoxy hybrid peptides. 11-Quantum mechanical calculations of the cephalosporin nucleus. J. of molecular graphic and modeling 28 478-486. 12-Thermochemical Recycling of mixture of scrap tyres ans waste lubricating oil in to high caloric value production Energy conversion and Management . 14-- Utilization of Fatty acid in heterocyclic synthesis.Part XI : Facile procedure for one pot synthesis of functionalized thiadiazoles, thiadiazolo[3,2-a]pyimidine and imidazo [2,1-b]thiadiazole charring along chain moiety. Accepted in Egyptian second international conference in chemistry : Chemistry for human need 9-12 Hurgada. 15-49- Utilization of Fatty acid in heterocyclic synthesis. Part x : Simple synthesis of some novel long chain substituted scaffold and annulated Azoles. Announced in Egyptian 2nd international conference in chemistry : Chemistry for human need 9-12 November 2009, Hurgada, Egypt. 16-New heterocycles having a double character as antimicrobial and surface active agents. Part 6, Novel thiadiazole from stearic acid. Olaj, Szappan, Kozmetika 56 (2), 57-61 . 17-New heterocycles having double character as antimicrobial and as surface active agents. Part 7, Novel pyridazines and pyrimidines from stearic acid. 10th IBN SINA international conference on pure and applied heterocyclic chemistry. February (17-20) p. 107, Luxor, Egypt. 18-Synthesis and surface active properties of condensed and non-condensed quinazoline derivatives of industrial applications.Indian Journal of Chemistry 45B, 1020-1027 . 19-New heterocycles having a double character as antibacterial and surface active agents. Part 5, New quinazoline derivatives from stearic acid. Olaj, Szappan, Kozmetika 55 (4), 121-125. 20-New heterocycles having a double character as antimicrobial and surface active agents. Part 1, Nonionic compounds from fatty acid isothiocyanate. 21- New heterocycles having a double character as antimicrobial and surface active agents. Part 3, Nonionic compounds from fatty acid hydrazide. Olaj, Szappan, Kozmetika 53 (3), 124-128 (2004). 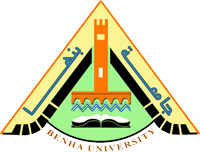 22-Biological evaluation of 2-(4-aminophenyl)benzothiazoles and related structures of anti-tumor effects(Part III).The first international conference of the genetic engineering and Biotechnology research Division, March, (15-11) . National Research Center, Cairo, Egypt. 23-Synthesis of novel pyrimidine and related nitrogen heterocyclic ring systems as potential antimicrobial agents.9th IBN SINA international conference on pure and applied heterocyclic chemistry. Dec (11-14), p.196, Sharm El-Sheikh, Egypt. 24-New heterocycles having a double character as antimicrobial and surface active agents. Part 2, Anionic compounds from fatty acid isothiocyanate. Chemistry, An Indian Journal 1, 313-319 . 25--Oxo-carboxylic acids in heterocyclic synthesis III. Synthesis of biologically active 4-benzylamino-6-(5,5-dioxodibenzothiophen-2-yl)-2,3,4,5-tetrahydropyridazine-one. 26-,-unsaturated--Oxo-carboxylic acids in heterocyclic synthesis II. Behaviour of 4-(5,5-dioxodibenzothiophen-2-yl)-4-oxo-2-butanoic acid towards carbon nucleophiles under Michael Reaction conditions. 27--aroyl acrylic acids in heterocyclic synthesis(Part I). Synthesis of condensed and non-condensed heterocyclic systems from 2-amino-4-(1',1'dioxadibenzothien-4'-oylmethyl)-5-hydroxy thiazole. 28- Uses of quinazolin-2-[(-propionyl)isothiocyanate]-4-one as a building block in the synthesis of some heterocyclic compounds of expected biological activity.Ind. J. Chem. 37B, 1153-1156 (1998). 29-Synthesis and reactions of saccharinylbenzoyl isothiocyanates.Egypt J. Chem. 42 (6), 563 . 30-Uses 2-(carboxylethyl)-4-chloroquinazoline as a building block in the synthesis of some heterocyclic systems of expected biological activity.Ind. J. Chem. 37B, 303 . 31-Utilities of saccharinyl acetyl isothiocyanate in synthesis of non-condensed polynuclear heterocyclic compounds of expected biological activity. Ind. J. Chem. 37B, 135-138 . 32-Utilities of 4-(4-benzylphenyl)-6-aryl pyrimidine-2-thione for the synthesis of biologically active condensed and non-condensed heterocycles.Egypt J. Chem. 41 (1-6), 267-276 . 33-Utilization of 2-(-carboxyethyl) quinazoline-3H(4)-thione in synthesis of some condensed and non-condensed heterocycles having interested biological activity Ind. J. of heterocyclic Chemistry 7(4), 289 (1998). 34-Synthesis, behaviour and biological activities of1,3-benzoxazine-4-one with a bulky substituent at 2-position. Egypt J. Chem. 40 (3), 231-238 . 35-Synthesis of some aryl cinnamides and imidazolone derivatives of expected biological activities based on 2-(N-phthalimidomethyl)-4-benzylidene-5(4)-oxazolone. Egypt J. Chem. 40 (2), 149-157 . 36-Synthesis and characterization of some biologically active pyrimidine derivatives containing sulphur-part I. Ind. J. Chem. 35B, 388-391. 37-Synthesis and characterization of some biologically active pyrimidine derivatives containing sulphur-part II.Ind. J. Chem. 35B, 498-501 . 38-Uses of 2-aryl-1-oxaspiro(2,5)-octa-4-one in synthesis of spiro and condensed heterocyclic systems of expected biological activity.Phosphorus, Sulfur and Silicon 117, 11 . 39-1,4-Arylation of -aroylacrylic acids with thiophene and utilization of the products in the synthesis of some heterocycles. 40-Thermolysis and photolysis of 7-methyl-2,2,5-triphenyl-1-oxa-5,6-diazaspiro-[2,4]-hept-6-ene-4-one. Egypt J. Chem. 39 (2), 215-221. 41-Synthesis and reactions of 6-(4)-(p-benzylphenyl)-4(6)-phenyl-pyrimidine-2(1H)-thione. Heterocyclic communication 2 (4), 375-381 . 42-Novel pyrimidine congeners as antimicrobial agents. Sulfur letters volume 19(2), 45-53 (1995). 43-Triterpenes from a gave kerchove.Ind. J. Chem. 34B, 836-838 . 44-Pyrolysis and mass spectrum of 4-methyl-2,5,5-triphenyl-1-oxa-5,6-diazaspiro-(2,4)-hept-6-ene-4-one. Egypt J. Chem. 37 (6), 603-613. 45-Synthesis and reactions of 2-ethoxycarbonyl-4(3H)-quinazolinone with nitrogen nucleophiles. Ind. J. Chem. 32(5), 577-580 . 46-Synthesis and reactions of some new pyrimidine-2-thione derivative.American Chemical Society, 205th ACS. National Meeting . 48-Synthesis and reactions of 1-(p-tolyl)-5,6,7,8-tetrahydro-3,2-benzoxain-4-one. Asian J. of Chem. 4(4), 865-872 (1992). 50-Synthesis and reactions of 1-(dibenzothien-2-oyl)-1,2-dihydrobenzo-[f]-coumarin. Ind. J. Chem. 30B, 1028-1032 (1992). 51-Synthesis and spectroscopic studies of some azo dyes based on 2-amino-3-carboxy-4,5,6,7-tetrahydrobenzo-[b]-thiophene ethyl ester. J. Serb. Soc. 57 (8), 503-512. 52- Behaviour of -aroylacrylic acids toward hydrazine hydrate and some studies on the cyclized product. 53-	Two-stage pyrolysis of 2-amino-3-carboxy-4,5,6,7-tetrahydrobenzo-[b]-thiophene ethyl ester.3rd IBN SINA Symposium on Heterocyclic Chemistry.Jan 28-31 (1991) Aswan, Egypt (p.135). 54- Organic charge-transfer complexes as a novel acid-base indicator. 55-Synthesis and reactions of 4-arylidene / or (halophthylidene)-2-aryl-∆2 -oxazoline-5-one with some nucleophiles. Pak. J. Sci., 34 (7-8), 288-292 (1991). 57-	A facile one pot conversion of chalcones to pyrimidine thione derivatives. Ring opening reaction of oxiranes derived from chalcones. Phosphorus, Sulfur and Silicon 55, 279-283 (1991). 58-Isolation and structure elucidation of two sesquiterpene lactones from the summer leaves of Jasonia Montana by Mass Spectrometry.Delta J. Sci. 14(3), 1115-1124 . 59-Tuatomerism in 2-amino-3-carboxy-4,5,6,7-tetrahydrobenzo-[b]- thiophene ethyl ester.A.F.M. . Egypt J. Chem. 32 (5), 581-591 . 60-Synthesis and reaction of 1,4-diarylsemicarbazides.Ain Shams Sci., Bull. 25A, 335-348. 61-Synthesis of some azoles based on quinazolinyl benzoic acid hydrazide and quinazolinyl / benzoyl isothiocyanate.Submitted for publication.